This is a classic zombie prosthetic featuring withered skin, a swollen shut eye and detailed skin texture. 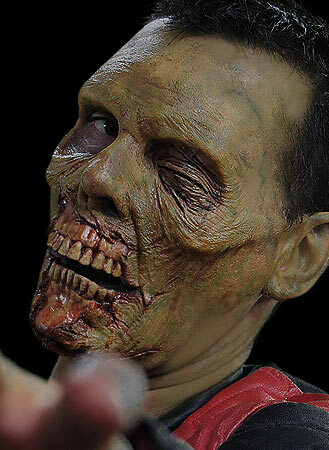 You can wear this appliance on its own or for a more comprehensive look, try combining it with one of our zombie mouth prosthetics for a complete undead look! Great prosthetic, used this two seasons ago, lots of comments on this prosthetic, how good it was I will use it again this year. Keep it up Nimba. I was without a doubt the best zombie in my local zombie pub crawl. Thank you, Nimba Creations. I will be using your products now and forever. I bought this last year ago and it is awesome. 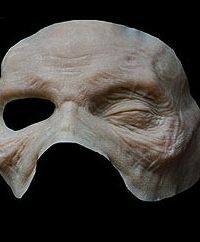 I am planning to use it for my son again this year it is such a good looking prosthetic. It feels comfortable on the face and takes make up well. 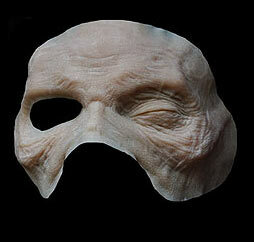 I have been doing make up effect for about 7 years now and I have not found a better prosthetic on the market today. 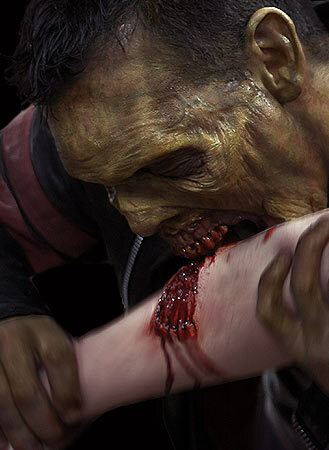 If Tom Savini is buying, I am buying. 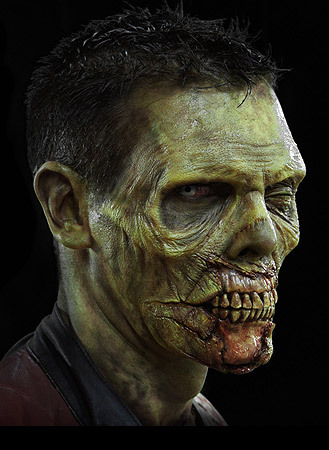 Thanks to all the Nimba team, I will post pictures after Halloween with the full zombie crew!